This past week has been a bit, well, crazy. Really it will be until at least Tuesday of this coming week, so when in the latter evening hours of last Wednesday I stole some time to cook up my latest Farmer’s Market purchases including some lovely rhubarb. Apparently the variety I bought is finer and less bitter than other potential varieties. Seeing as I hadn’t had rhubarb before I really couldn’t say. 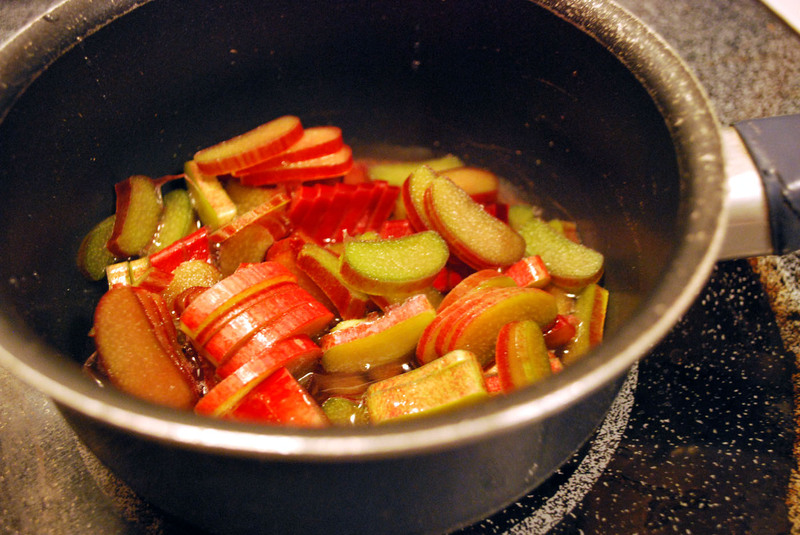 Rinse & chop your rhubarb then simmer in a covered pot with water & blueberries for 15 minutes or until soft. Mash rhubarb with potato masher and add vanilla, agave & spices. Simmer for another 20 minutes. 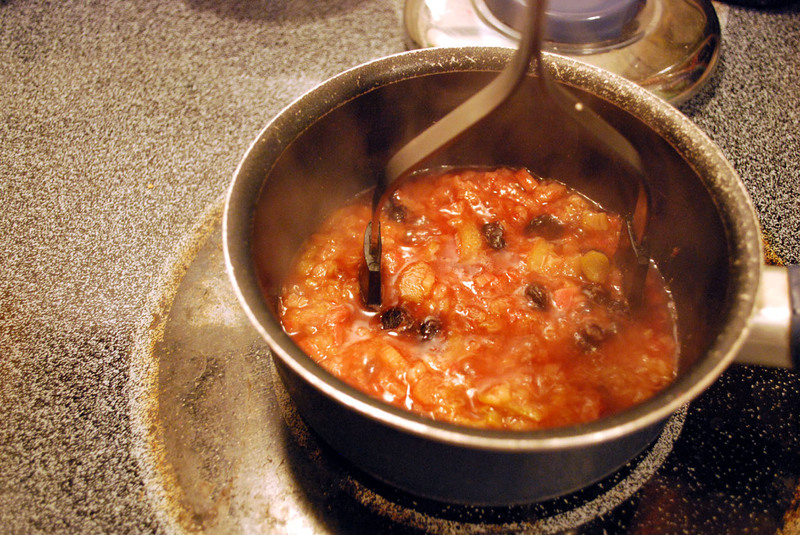 Remove from heat and allow to cool for a few minutes before serving. 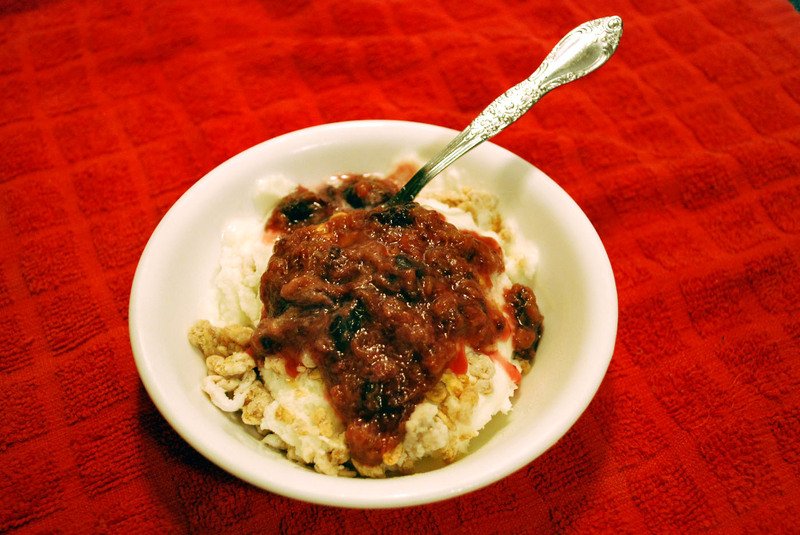 I chose to use mine as a frozen yogurt topping but it would also do well with pork or chicken.